Mom Buries Family Cat In Elaborate Funeral…But A Surprising Twist Reveals That Cats Have Nine Lives After All! Kitty the Cat, the Schmidt family’s beloved pastel Calico, was only 7 years old when they realized she had gone missing. 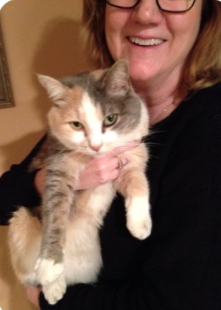 When they calculated that she had been gone for nearly 24 hours, mom started to drive around the neighborhood, hoping to find their beloved cat. 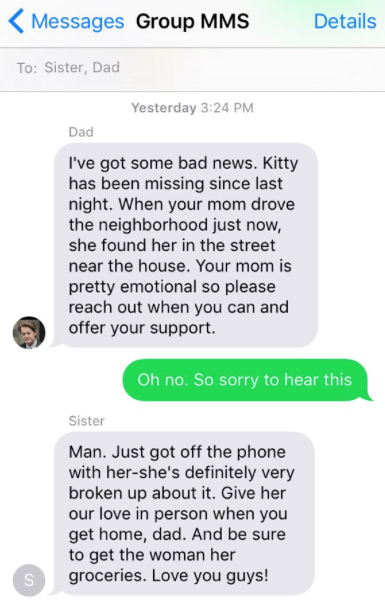 Dad sent a group text to his son and daughter to let them know that Kitty was nowhere to be found. He knew his wife would need emotional support. 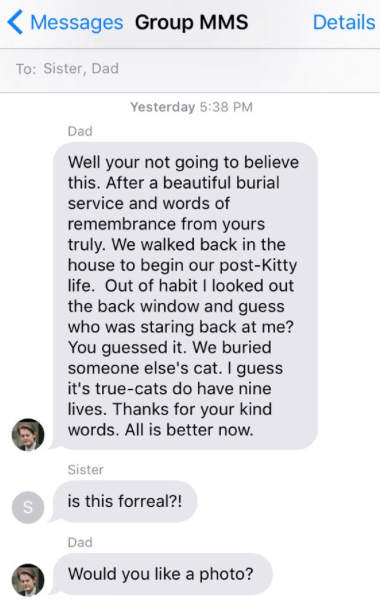 After an hour, mom discovered Kitty’s body lying in the road. They buried her in the back yard and gave a small funeral to say goodbye…and then something crazy happened! Kitty wasn’t dead! Although she had been missing for an entire day, she came home in perfect health! Mom snapped a joyful picture to share with her family! They now needed to deal with the stranger’s cat that they had buried…someone else would be searching for their family pet, and if the Schmidt’s could give them a bit of closure, they would do all that they could to help. 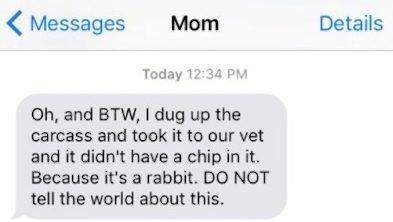 Not only did they hold a burial service for a dead rabbit, they also dug up said rabbit and brought it to the vet. DO NOT tell the world about this.” Mom said…obviously, a story like this needs to be shared with everyone! Many people admit to experiencing the same scenario. Dead rabbits, they claim, often look like dead cats. Curious!